Many properties experience water damage to some degree. The majority of this water damage is due to a simple burst pipe or tap left on, through to sewage back surges and storm damage. Although you might be tempted to use a shop vacuum or call a company that only has equipment to dry carpet, you should consider that water will absorb up the walls and will penetrate through floor coverings into sub-floors, even causing water damage in rooms below. In addition, if humidity inside the structure is not controlled, items that were not damaged from the original water damage could be damaged as a result of absorbing moisture from the air. 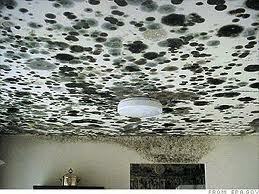 Structures that are not dried out quickly and properly can become a food source for mould growth. Advance Maintenance Limited employs moisture metering and thermal imaging to locate moisture that may not be visible or may be hidden behind walls or cabinets, ensuring that all wet materials are dry. We also use data loggers to monitor the ongoing drying out process. Advance Maintenance Limited offer clients an experienced and efficient team to provide drying-out solutions for your property as well as dealing with your home or business insurance claim. As general contractors and insurance company approved contractors we are experienced in dealing with insurance companies and our systemised approach to claims ensures a quick and responsive service to water damage repair claims. We can reduce insurance claim life cycles with a quicker response to your water damage restoration needs. As part of our comprehensive service, we carry out water damage repairs to the building fabric and use water extraction units, air movement units, dehumidifiers, and monitor temperature control to dry out your property in a timely manner preventing costly secondary damage such as mould, mildew, damp and odour issues. We will work with your insurance company to confirm your cover and give estimates of costs to have your property restored to its pre-incident condition. We provide a full managed building repair service for all storm damage insurance claims covering all trades.